New experiences and new sounds, including a tribute to the rock group Queen, are part of the 2016 D&W Fresh Market Picnic Pops season at Cannonsburg Ski Area. But old standbys, including one of West Michigan’s best fireworks show of the summer, also return in July for the Grand Rapids Symphony’s 22nd annual summer series that welcomes music of the Beach Boys back to the great outdoors. 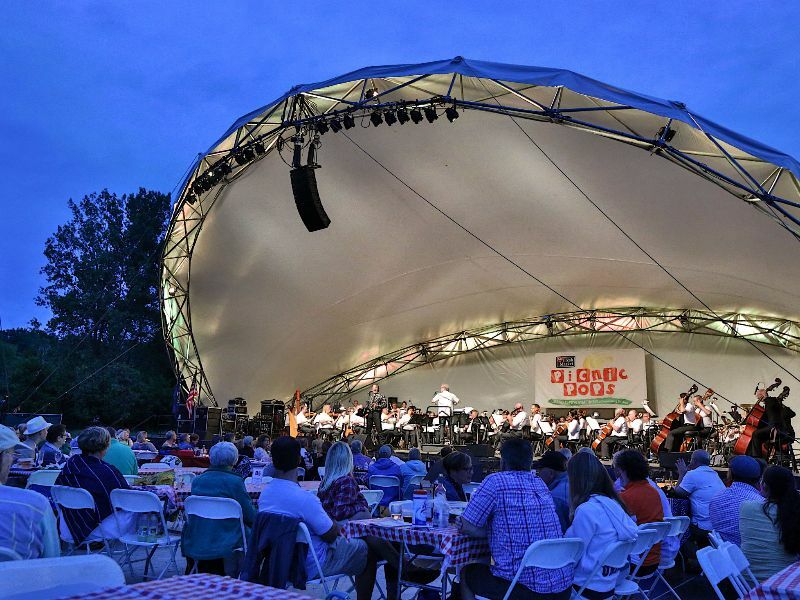 The Grand Rapids Symphony has unveiled its three-concert season of shows happening on Thursday and Friday evenings. Two more special-event, one-night-only shows in early August will be announced soon. Single tickets plus series tickets and flexpasses, offering substantial discounts, over single-ticket prices, all are on sale. 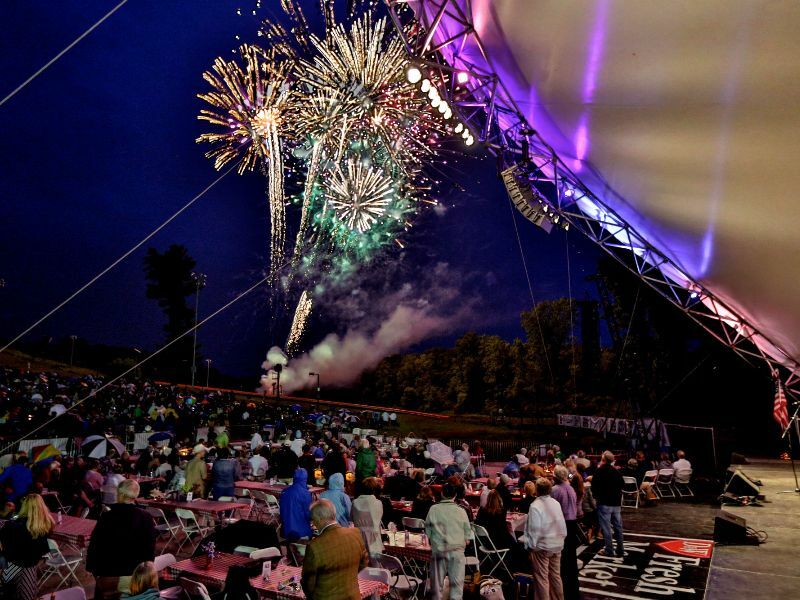 The 2016 D&W Fresh Market Picnic Pops opens July 14-15 with “Classical Fireworks” at 8 p.m.
Concerts include the second movement of Beethoven’s Seventh Symphony, featured prominently in The King’s Speech, in the climactic scene in which King George VI addresses the nation on radio that the United Kingdom is at war with Nazi Germany. 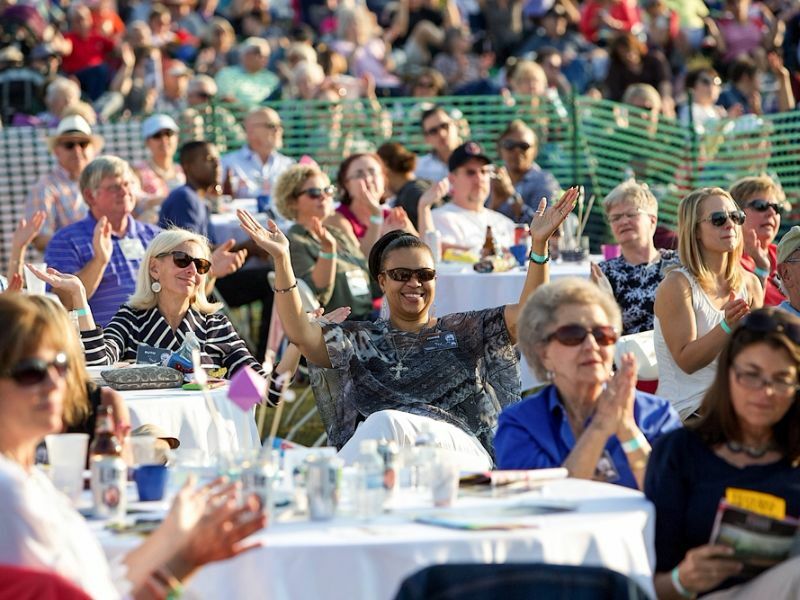 “Every concert needs moments of reflection,” said Bernhardt, who returns for his second Picnic Pops season with the Grand Rapids Symphony. The Canadian rock group appeared previously with the Grand Rapids Symphony in a tribute to the music of Elton John in 2010 and in a salute to songs from the James Bond series of films in 2009. Led by guitarist and arranger Peter Brennan, Jeans ‘n Classics is back with a new show with songs made famous by the glam rock band of the 1970s and 1980s. Plan ahead and save up to 28 percent with a 3-Concert Series subscription or save up to 17 percent with a 6-ticket Flexpass. Single tickets are $18 for adults, $16 for students and seniors, and $5 for children age 2 through 18. All tickets are $5 more the day of the concert. Children younger than age 2 are admitted free. Call the Grand Rapids Symphony at (616) 454-9451 ext. 4 for tickets and more information.